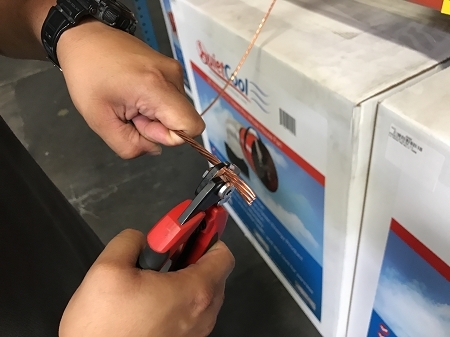 These wire rope cutters are designed specifically to cut medium hard wire rope and cables, up to 6.3/32” (5mm) in diameter, neatly and accurately with minimal force. It will cut stranded wire rope and copper / aluminum electric cables. It does not leave a frayed cut and lends itself to precision cuts in many applications. The blades are made of high carbon alloy steel from Japan and undergo proprietary manufacturing process to harden the cutting blades edges (HRC 60 – 62) needed for strength & durability. 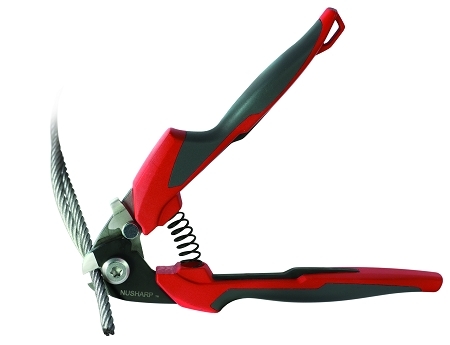 The slim design, long handles for its size and opening spring makes it a very powerful and comfortable cutting tool. The asymmetric handle design and its ergonomic shape provide a feel of natural grip requiring less force with higher mechanical advantage. The handles are padded with soft material for comfortable use & nice grips. 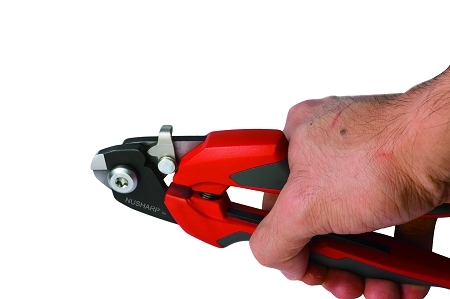 Riggers around the United States use these cutters in their daily projects particularly in the field where they can be trusted. These need little force to cut 2-3 mm wire; even 5mm wire requires much surprising less force. The cut is nice, clean and flat - no fraying. I can twist them back into the eyelet easily. Get a pair & you'll love it.